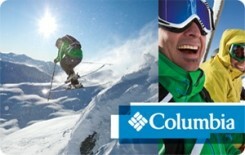 Columbia Sportswear Company is a leading innovator in the global outdoor apparel, footwear, accessories and equipment markets. Founded in 1938 in Portland, Oregon, Columbia products are sold in more than 100 countries and have earned an international reputation for innovation, quality and performance. Columbia products feature innovative technologies and designs that protect outdoor enthusiasts from the elements, increase comfort, and make outdoor activities more enjoyable. In addition to the Columbia® brand, Columbia Sportswear Company also owns outdoor brands Mountain Hardwear®, Sorel®, and Montrail®.